After the release of her "Twerk It Like Miley" video (which now has 9M views, by the way), Ella Cruz has since been named the "Teen Dance Princess" and has proven time and again that she’s no Maja Salvador knockoff by continuously hypnotizing us with those hips. And while we’re more than happy watching the 19-year-old spice up the social media networks, we think it’s time for her to bring the fire up our stage. 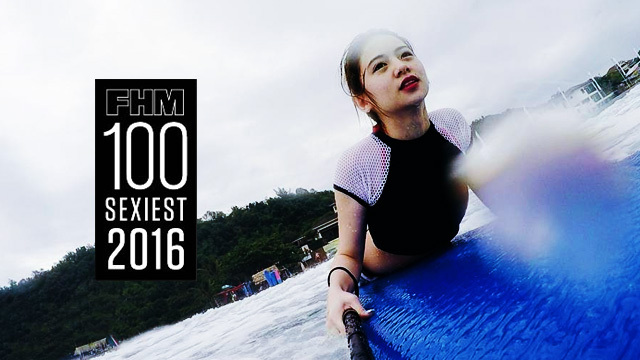 Here are some of the reasons why she deserves to be in FHM's 100 Sexiest list before she turns 20 (because, let’s be honest, she’s already killing it at 19). Though her Aryana days are long gone, she's still giving Disney's Ariel a run for her money. Even internationally renowned artists are captivated by her. Dawin, best known for his hit song “Dessert,” even featured her in his dance single "Throwback." Plus, who doesn’t love a lady who can rock it in red? More obviously, she needs to be in the list because we need to see more of those shaking buns. What's left to do? Casting your precious vote, of course, which you can do by clicking here!